The Lady Lancers enjoyed a break from the cold on Tuesday night with dominating wins over Culver & ECA. 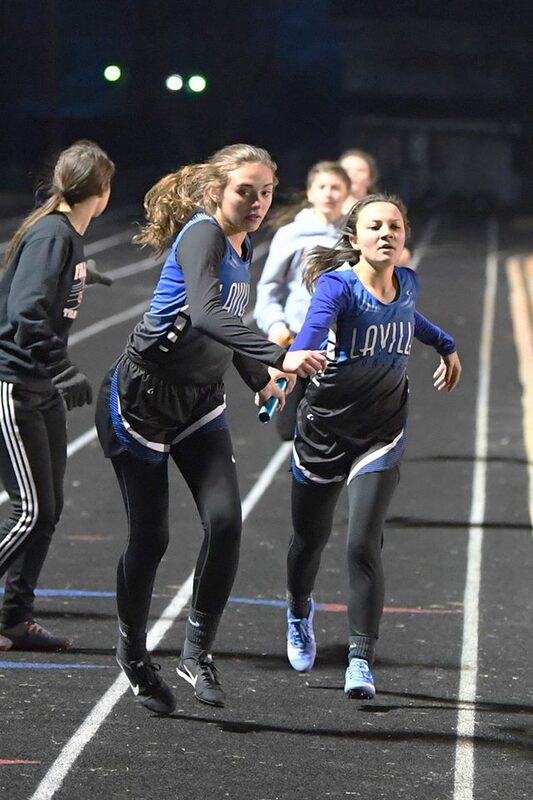 Kalista Lemberis set the tone for the evening with individual 1st place wins in the 100M, 200M and as a member of the 4x100M & 4x400M Relay teams. Freshmen Madelyn Fuchs had a breakout night with first-place finishes in 300M Hurdles & High Jump and as a member of the 4x400M Relay. Emerson Lemberis had a huge PR and a first place finish in Pole Vault. The Lancers hit the road on Saturday for the Oak Hill Relay in Converse Indiana.